Please Note: No refunds will be issued 10 days prior to the training. 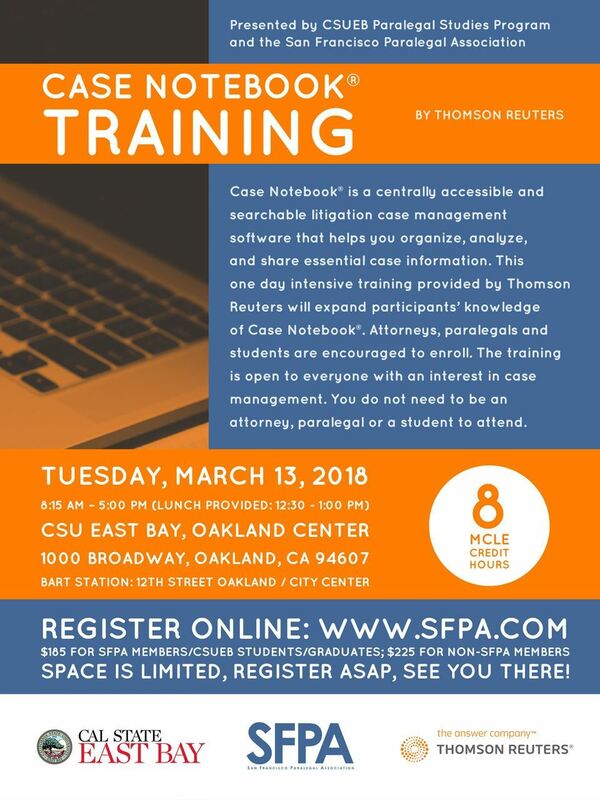 This one day intensive training provided by Thomson Reuters will expand participants' knowledge of Case Notebook®. Attorneys, paralegals and students are encouraged to enroll. This event is open to everyone with an interest in case management. You do not need to be an attorney, paralegal or a student to attend. Case Notebook® is a centrally accessible and searchable litigation case management software that helps you organize, analyze, and share essential case information. No refunds will be issued 10 days prior to the training. *Note: 26 computers will be available during the training in the computer lab. Participants are encouraged to bring their own laptop computer.